Win the Battle of Graded Papers Once and For All! New year, new organized you, right? About 4 years ago I made a New Year’s resolution to not spend as much time on “school stuff” when I was at home. The biggest “school stuff” time sucker? Grading papers! Night after night I was sitting on the couch checking, marking, and grading mounds of student papers and I was D.O.N.E with it! I needed to whittle down that stack (or at least spend less time on it!) 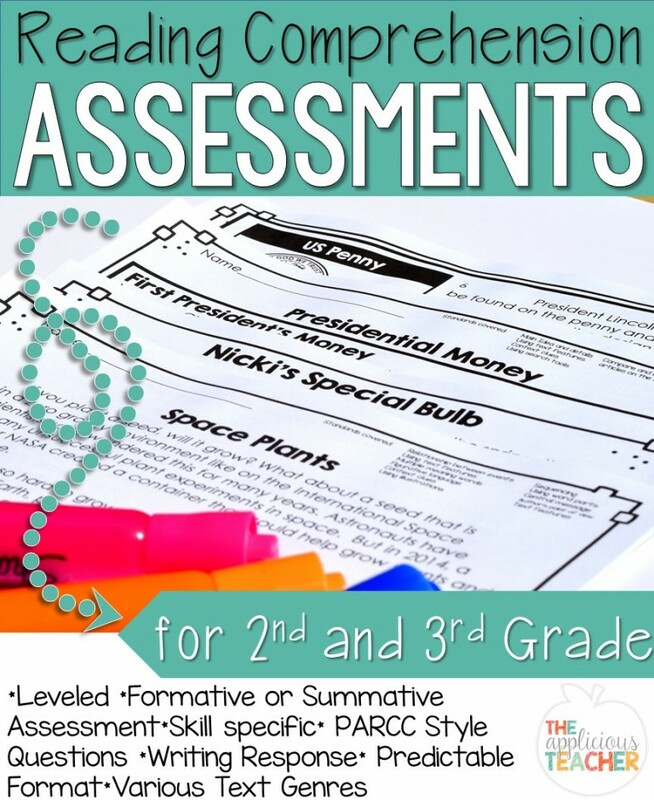 Here are a few things that have almost eliminated my dreaded graded paper stack! First, I started looking at what I was assigning and grading. If it wasn’t tied directly to the standards I was teaching, then there was no reason for me grade it. I remember having a conversation with a co-worker about grading. She had stated she had already taken seven grades in a four-day week… I about fell over! That’s a lot of grading and concept checking. I even had to clarify that these were grades going into a grade book, I was in such disbelief! Teacher observation is just as an effective tool and provides so much more time for students to acquire and master a skill! I try to find a balance between my graded assessments. This means using about three formatives for every summative seems to work well. In a span of a nine-week grading period, I might only have nine formatives and three or four summative assessments. I’m a firm believer in never grading a child’s first or second attempt with a concept and following this rule has helped cut down on my grading stack. I didn’t realize how powerful Collaborative Conversation could actually be… but I swear, this was a game changer for me. Instead of handing out a worksheet after reviewing an assignment or concept, I’d have the kiddos talk to their neighbors about what they had learned. I’d walk around and listen to the kiddos explain. I knew right away if the kiddos got it or not based on their explanations. No paper needed! I know there are certain concepts kids just need to practice writing to truly understand (math anyone?) To cut down on paper (and therefore grading) use, I would give one sheet for a pair of students to practice. Here you can see two of my kiddos working together on a multi-step word problem. You can read more about this activity and grab a quick freebie here. This is the perfect activity for using the Kagan structure called, “Rally Coach”. A quick explanation of rally coach: two students have one paper, one pencil, and two brains. To complete the activity, they take turns answering the questions. Before they can write, they have to explain and agree with their answer. Notebooking has become all the rage. And I’ll have to admit, it’s for good reason! I’ve been using a Reading Response Journal for years, but this is the first year I’ve started working on Interactive student notebooks. Both of these cut down on paper AND allow students to go back and use them as a reference! Score! I don’t usually collect student notebooks to formally grade, but I do look through them. I often use them as an “exit slip” for a student to move onto the next activity. This little quick check allows me to see right away who’s got and who still needs help. No lugging of papers needed! Best way to save paper, hands down? Page Protectors! These are a perfect trick for center work! No more lost papers or not enough copies. Run a few for a group, slip it in and BAM! Practice with no papers to worry about grading later! I love these page protectors I got on Amazon! and here we are taking a pre-assessment on our phonics pattern of the week! I know it’s easy to fall into the trap that every activity or standard completed needs a worksheet. But what if you could see all your students’ understanding of a concept in one snapshot. No big stack of paper needing grading later? Let me introduce you to Interactive Anchor Charts. Interactive anchor charts are laminated anchor charts that students fill out. I like to use sticky notes so that every student is participating. This makes grading a breeze. I can see right away on who has the concept down and who doesn’t! Ok… a few years ago, I got into the habit of grading my student’s reading tests right in front of them as they finished. I originally started this practice so I wouldn’t have to lug 20 reading tests home every Friday and stress over them instead of enjoying my weekend. But soon I found that it’s benefit to the kiddos greatly outweigh the benefit of lightening my weekend load. My kids loved seeing what their score! It also gave me time to review and provide feedback as to what they’ve missed and offered insight as to how they answered questions. If you walk away with one practice, I truly think this one will change your teaching life for the better with very little effort on the front end! I know there are times where grading papers right in front of students just isn’t gonna happen (Kindergarten, anyone?) But, piling up papers week after week isn’t going to help you win that graded paper battle! If you can’t grade the papers right away. Work to grade those papers by the end of the week. I found that if I made it a routine to return papers the same week we worked on them, my paper stack was always manageable! Set a time every day that you will grade- maybe every day after lunch, or right after the bell. Set a day of the week for grading- can’t grade every day? Then, make a point to set a specific day for completion of grading. For me, Wednesdays were lesson plans and Friday was grading. Use fun pens/markers- seriously, make it enjoyable to grade! Use your favorite flair pens or smelly markers! This last tip for taming that graded paper stack for good all about keeping your papers together! I started using a plastic paper box many years ago and have never looked back! This baby makes the grading paper keeper. I can keep my markers and a grading scale in there. Then, as I collect papers to be graded, I stash them in there. It’s smaller size allows me to stay on top of the grading. If it doesn’t fit, then I know it’s time to grade and pass back papers! Click here to check this one out on Amazon! These are just a few ways to win that graded paper battle! Remember the biggest take away is the mindset. With grading, more doesn’t always mean better, so keep that in mind the next time you’re lugging home a stack of papers to grade. Do you have any suggestions for keeping that graded paper stack at bay? Comment below! Just spent 1.5 hours grading 🙁 I also don't grade everything and check as much as I can on the spot. I think it's better for kids anyway, to get that immediate feedback and fix their mistakes right away. I love your little blue box. I might have to get something like that! YUCK! I totally detest grading! I got mine at Target in the kids crafts and art supplies section. It stores all those papers I know I need to look over! I use QR codes on lots of my math stations so kids can check their own work! I also force myself to check papers for 20-30 minutes right after school gets out. I also use dry erase on the tables or use a cute chalkboard app for the iPad. I don't bring grading home anymore! I also try to grade things right in front of the kids whenever possible. When I taught ELA, I had leveled spelling tests so I did them in small groups. I would quickly check the previous group's tests while giving the spelling test for the current group. Kids love the immediate feedback. Love the idea of using QR codes! Such a great way to put that "checking our week" in student's hands! LOVE this post! I absolutely hate grading papers. My bag seriously weighs a ton. I need to get a handle on it. Those page protectors have been great for me this year. I need to order some more because mine are wearing out after 2 years. Writing on their desks if their favorite thing. I need to do this more often. Oh! Marcy! Stop! Stop taking them home! Try some of those strategies up there! I promise you'll feel so much better! <3 <3! Yes! It's so important too! The more they use them, the easier it becomes! Thanks for this post! I needed this today. Very liberating! Great post!!! Please explain the management of grading test on the spot… VERY interested! This strategy is so easy! As students finish an assignment, like a reading test, you take a few moments to review and grade it with them standing there. As I check over their work, I discuss the different strategies they could have used to find the answer, or why they didn't get it right. It's a great time to provide feedback on test taking strategies and the kiddos LOVE knowing how they did right away. I always use a special smelly marker just to make it special. One thing I have learned to do is check over the simple stuff that I just glance at during down time. When students are enjoying snack and a brain break, I glance over morning work. I just put a check mark on it to show I'm satisfied with it. For stuff completed together, I have a stamp that says "completed together in class" that one of the kiddos can stamp on all of the pages (they LOVE that job!). At my recess time, unless I have duty–which is only once per week–I quickly grade the other things we did that day that I DO need to look over. I get to work 90 minutes before the students begin so whatever I didn't get to glance at the day before can be done in the AM (usually its a very short pile).